April at Dancewave is the month of Dancewave’s Spring Gala. We are looking forward to Gala as new surprises, shining honorees, and energetic performances fuel the event preparations. Highlighted below are some of the anticipated aspects of Dancewave’s 2017 Spring Gala. This year, help Dancewave honor Jody Gottfried Arnhold, Camille A. Brown, and Senator Velmanette Montgomery, three incredible women in our community championing dance and education. We are so grateful for each of these women and their contributions to the arts. 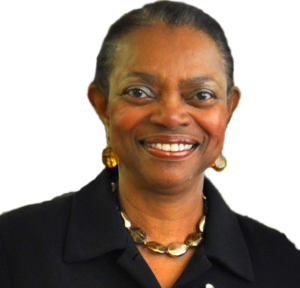 Velmanette Montgomery is recognized for her effective leadership and steadfast commitment to her constituents of north and central Brooklyn as well as to New Yorkers statewide. In her role as the Ranking Democrat on the Senate Committee on Children and Families, Senator Montgomery is committed to helping young people achieve positive outcomes through reform of the State’s juvenile justice, foster care, and adoptive care systems. Senator Montgomery continues to be one of New York’s leading proponents of school-based health care as a model system for delivering comprehensive primary and mental health services to children of all ages, in the school setting where youth spend most of their day. 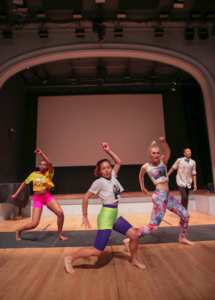 Jody Gottfried Arnhold dance educator, advocate, and Founder of Dance Education Laboratory (DEL) at 92Y has taught dance in NYC public schools for over 20 years. 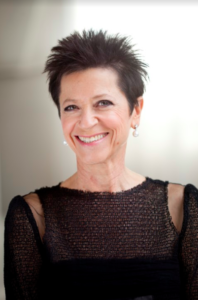 She is Executive Producer of the New York Emmy nominated documentary, PS DANCE! 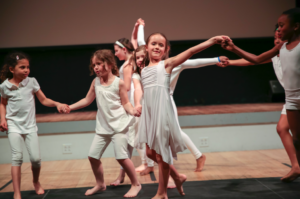 Dance Education in Public Schools, created to raise awareness and advocate for her mission, Dance For Every Child. 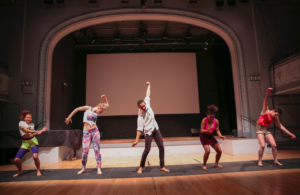 Jody serves on the Advisory Committee for Arts Education at New York City Department Of Education and is Co-Chair of the Committee that created the Blueprint for Teaching and Learning in Dance K-12. She is on the Board at 92Y, Hunter College, Ballet Hispanico, Harkness Foundation for Dance, and on the Advisory Committee of Dance/NYC. Camille A. 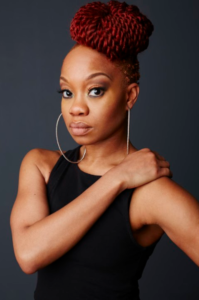 Brown is a prolific choreographer making a personal claim on history through the lens of a modern Black female perspective. She leads her dancers through excavations of ancestral stories, both timeless and traditional, that illustrate stories which connect history with contemporary culture. She is a four time Princess Grace Award winner (2016 Statue Award, 2016 Choreographic Mentorship Co-Commission Award, 2013 Works in Progress Residency Award, 2006 Choreography Award, 2016 Jacob’s Pillow Dance Award recipient, 2016 Guggenheim Fellowship recipient, 2015 USA Jay Franke & David Herro Fellow, 2015 TED Fellow, 2015 Doris Duke Artist Award recipient, and was nominated for the 2015 Lucille Lortel “Outstanding Choreographer” Award (Fortress of Solitude). Her company, Camille A. Brown & Dancers, received a 2014 Bessie Award for Outstanding Production for the work Mr. TOL E. RAncE and were nominated for a 2016 Bessie Award for Outstanding Production for the work BLACK GIRL: Linguistic Play. Performances will include Dancewave Company III performing Julia Ehrstrand’s energetic and explosive work Biana and Dancewave Company I’s premiere of Camille Brown’s New Second Line. “New Second Line is about celebrating instead of mourning. The piece means a lot to us. Performing it for her is particularly special because she choreographed it so long ago and carrying on her legacy is a big honor.”-Talia Protos, Dancewave Company I. “For everyone there is a different meaning to the work. Before running the piece we discussed who we are running it for to point out our appreciation and remind us to celebrate each other.” -Maia Soyer, Dancewave Company I. And celebrate we will! 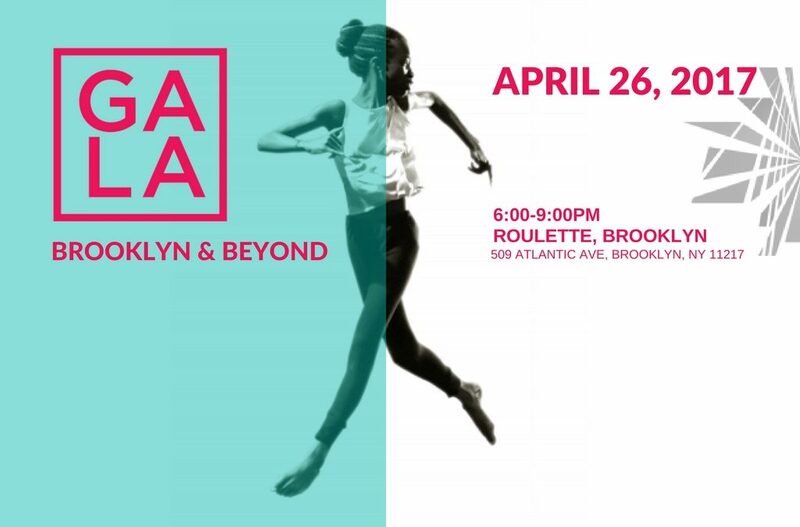 Camille’s piece is the perfect compliment to the theme of the evening “Brooklyn and Beyond” which highlights Dancewave’s aim to unite communities of artists from different boroughs. Camille and Dancewaves’ missions focus on celebrating people and their differences. Of course, the Gala will also include good food, endless drinks (alcoholic and non-alcoholic options), and the opportunity to break it down on the dance floor. Don’t feel shy about unveiling your wackiest social dance moves because we definitely know how to take our perfectly pinned buns out, let our hair down, and groove on the dance floor. Now that you know more about the event I’m sure you’re thinking, “How can I get a ticket to this experience of culture and celebration of the arts in Brooklyn?” The answer is simple. You can click here to buy a regular ticket or a VIP ticket offering exclusive opportunity to mingle with gala honorees. Can’t attend this year’s Gala and looking for other ways to give? Participate in Dancewave’s online auction. Auction items include an Olive BK class package, signed jets poster, Orangetheory Fitness class card and gear, and vacation packages.